The Alcotest® 7110 MK III is a proven evidential breath analyzer for breath alcohol detection. The Draeger heated and temperature controlled fuel cell is alcohol specific and non-susceptable to ambient alcohol vapor. 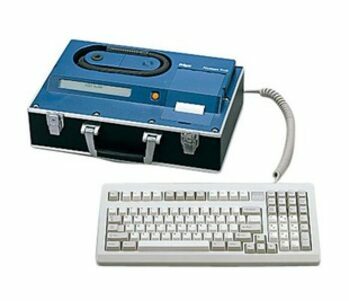 In spite of its technical complexity, the Alcotest 7110 Evidential is extremely easy to operate. To start a test, all you need to do is to press the start button. All subsequent steps are carried out automatically or are requested with clear instructions on the display.